Suddenly, a fleet of ships with mysterious superweapons called the “Fleet of Fog” appeared all around the world. Humanity didn’t have the technology to fight such a fleet, so they were driven out of the sea. 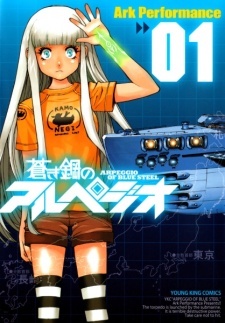 Seventeen years after the battle, Gunzou Chihaya and his crew mates aboard the I-401 and the personification (Mental Model) of the I-401, Iona, started fighting the Fleet of Fog.